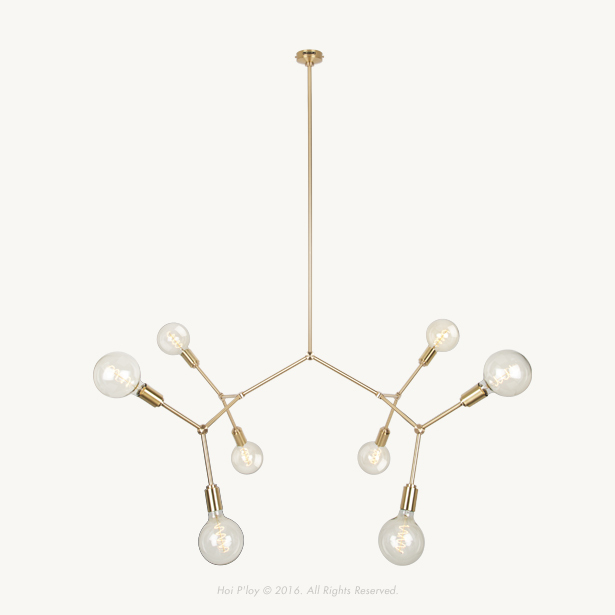 The MOLECULE 8, an elegant "chandelier" type light that is inspired by scientific molecular diagrams is now available for shipping. However these are also available in 2, 4 and 16 bulb sockets. - We offer 3 different lengths for the drop stem. Please indicate which of the three suits your space the most. 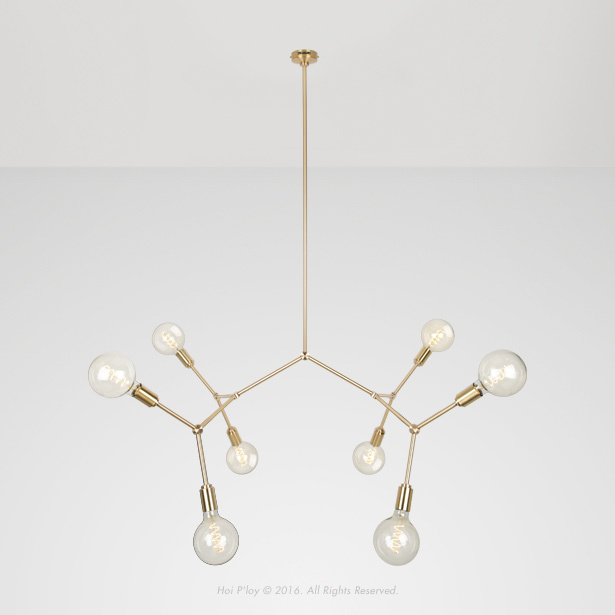 The solid brass components that make up the light are 100% made and assembled in Cape Town, and pack flat for easy shipping. 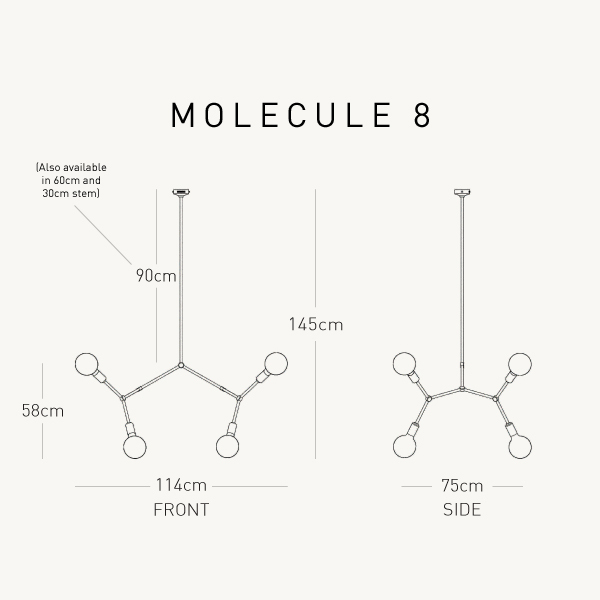 The MOLECULE is build with standard E27 lamp fittings, which means that you can choose any of the filament bulbs in our range, or even use any other bulbs you might fancy. Current Leadtime : Please allow 15 to 20 working days for the order to be completed and 3 working days for delivery. We will be in touch as soon as the order has been placed and payment received. * Please note: Brass will tarnish over time in normal room condition but is not recommended for close sea side proximity because of the high level of moisture which may cause a rapid oxidization process. Notify me when Molecule 8 Brass is available.